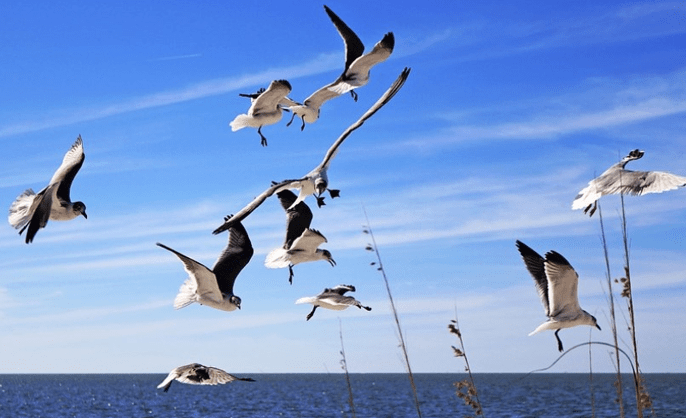 The Tampa and St. Petersburg area of Florida is known for boating, golfing, beaches, and sunshine. And for many residents of this resort area, finding a good financial advisor in Tampa helps ensure they can enjoy life and retire with a sound financial future. If you’re searching for wealth management firms in Tampa or St. Petersburg, Florida you’ll find that not all of them are created equal. There are differences in the types of clients they serve, the services they offer, and even in how biased or unbiased the financial advice they offer may be. This means, in order to find the best Tampa financial advisor, you’d typically need to do a lot of research and understand the different types of fee structures and what they mean but that means less time out in the sun having fun. Luckily, AdvisoryHQ makes it our business to do hard research work for you. We rank the top financial advisors throughout the U.S. and U.K. For those living in Tampa and St. Petersburg looking for quality financial advisors, we’ve chosen 10 top firms to help you narrow down your search. As you go through each financial planner in Tampa, FL, you’ll find helpful information, such as their clientele type and specialties, to help you make an informed decision about who to trust with your financial needs right now and dreams for the future. What’s the Difference Between Fee-Only & Fee-Based Tampa Financial Advisors? When you’re evaluating wealth management firms in Tampa and St. Petersburg, there are typically two types of firms you’ll find: fee-only and fee-based. While both terms sound nearly the same, they have definitions that are quite different. Knowing whether financial planning in Tampa is one or the other can make a significant difference in how you perceive them. Here is an overview of each type of fee structure. When an investment firm or a financial advisor in Tampa or St. Petersburg state they are “fee-only,” this means that their only compensation is from client fees and they do not accept any commissions from selling third-party financial products. Due to a fee-only advisor not accepting commissions, this fee structure minimizes the inherent conflicts of interest that come along with recommending and selling investment products. In short, a fee-only Tampa/St. Petersburg financial advisor is naturally in a better position to act solely in the best interest of their clients. When an investment firm states they are “fee-based” this means that in addition to receiving some direct compensation from clients, they are also free to accept commissions from companies who provide financial products. Because a fee-based structure can create some inherent conflicts of interest, many fee-based Tampa financial planners are also fiduciaries, which helps to counteract a potential for conflict. Both fee-based and fee-only Tampa wealth managers can be fiduciaries. This means that they adopt a fiduciary commitment and are legally responsible to fully disclose any conflicts of interest and are required to put the interests of their clients first. Below, please find the detailed review of each firm on our list of 2019 best financial advisors in Tampa, FL. We have highlighted some of the factors that allowed these St. Petersburg and Tampa wealth management firms to score so high in our selection ranking. Founded in 1989, CAPTRUST Advisors, LLC is a wealth management firm in Tampa that serves high-net-worth individuals, executives, retirement plan fiduciaries, foundations, and endowments. They have offices in 19 states and the District of Columbia. CAPTRUST is a fee-based wealth management firm in Tampa, but we have included them on our ranking of top financial advisors due to their commitment to transparency and acting exclusively in the best interest of their clients. They are also a fiduciary. CAPTRUST is one of the largest financial advisors on this year’s ranking of Top Financial Advisors in Tampa & St. Petersburg. And while some advisors might worry this would mean they have a less personal approach, that’s not the case with this Tampa/St. Pete wealth management firm. Despite their size, this Tampa financial planning firm puts forth the effort to form personal and long-term relationships with their clients that are founded in the trust that they truly care about their financial well-being. Several clients have worked with CAPTRUST’s Tampa financial advisors for nearly three decades. This illustrates their complete commitment to each individual investor and their financial goals. CAPTRUST advisors are with you for the long haul and enjoy getting to know each client, learn their long-term objectives, and stand patiently by their side to help them achieve financial success. Part of what sets CAPTRUST apart from other wealth management firms in Tampa and St. Petersburg are their specialty services tailored for specific clientele—these include wealth management for professional athletes and religious institutions. The unique financial plans of professional athletes often call for long-term financial strategies with a shorter career span, which mean their portfolios choices may be completely different than for individuals in other careers. As such, partnering with a Tampa financial planner that understands these individual needs can be incredibly beneficial. This financial advisor in Tampa, FL also helps religious organizations balance the principles of their faith with the hallmarks of sound financial decision-making. CAPTRUST has extensive experience assisting institutions like Catholic universities, Catholic schools, faith-based healthcare companies, dioceses, and archdioceses. CAPTRUST may be large, but they don’t let that keep them from getting to know their clients and forming life-long relationships with them as a trusted financial advisor. And while they are fee-based, they have a philosophy of conflict-free advice, transparency, and putting the client’s needs ahead of their own. Additionally, the firm is employee-owned, giving each advisor a stake in the company’s success. Their extensive and specialized industry experience and knowledge of best practices make CAPTRUST a financial advisor in Tampa that offers a lot of value to clients and scores them a 5-star rating as one of the top financial planners to consider partnering with this in 2019. Doyle Wealth Management, Inc. was founded to fill a void the founders saw in effective wealth management for the retirement community. They are a Registered Investment Advisor (RIA) serving St. Petersburg/Tampa and the surrounding area. This Tampa wealth management firm is fee-only and operates as a fiduciary. The founders, husband and wife team Bob and Jillian Doyle, are based in St. Petersburg, FL and have $45 million in assets under management. Doyle Wealth Management makes the financial success of its clients their key priority. This is evident in their strictly fee-only structure, meaning their advice will not be compromised by conflicts of interest, sales quotas, performance bonuses, incentives, or the interests of outside parties. Instead, Doyle focuses on your needs and financial dreams for the future. These Tampa financial advisors don’t accept any outside commissions from selling 3rd party financial products, thus your needs are the only thing guiding their financial advice. For wealth management services, fees are based on Assets Under Management (AUM) and are billed each quarter. Their services for financial planning in Tampa are billed either hourly or using a fixed fee, offering flexibility for their clients. Many of those who want to build their wealth using the help of an experienced financial advisor in Tampa, FL are turned away by some firms because they do not meet the minimum asset requirements. These minimums can range anywhere from $500,000 to $1,000,000 or more, depending on the firm. Doyle Wealth Management believes clients all of the wealth levels should have the ability to build their wealth using top-tier investment and financial strategies, so they’ve created their Partner Program to give all clients the quality financial guidance they deserve. As a fee-only fiduciary, with a focus on serving all types of clients, especially retirees, Doyle Wealth Management provides a transparent and trusted financial planning and wealth management experience, making them stand out from competing financial advisors in St. Petersburg. Those clients wanting a personal touch and boutique feel will also appreciate the warmth of Doyle Wealth and their dedication to more than just figures, they truly want to see their clients succeed financially. With a demonstrated commitment to clients, fee flexibility, and years of financial expertise, Doyle Wealth Management earns a 5-star rating and is one of the best financial advisors in the Tampa area to consider partnering with this year. With a focus on simplifying complex financial situations, Frisch Financial Group is a fee-only, fiduciary investment management and financial advisory firm in Tampa, Florida. They also have additional offices in New York City, Long Island, and White Plains, NY. They work with a particular clientele that generally requires a higher level of expertise. Their specialties include serving family-owned businesses, senior executives, and families focused on creating multi-generational wealth. The advisors at Frisch believe in a team approach when it comes to creating the best portfolio to serve each client. They work in partnership with investors on their portfolio strategies and clients can get as involved (or not) as fits their personal desire. You won’t get just a single strategy from these Tampa wealth managers, they believe that investment options and strategies should not be limited. They constantly monitor individual stocks, bonds, and alternative investments to identify the most successful options. One thing that the clients Frisch serves have in common is a need for a financial advisor in Tampa that can handle complex tax issues and that knows the best way to integrate tax planning into wealth management. An example would be senior executives, who often receive complex corporate benefits, such as stock options, deferred compensation, and Supplemental Executive Retirement Plans (SERP). If these aren’t executed with proper timing, you could end up with less money than you expect. Frisch understands the complexity of these types of compensation and benefits packages and guides their clients toward strategies that allow them to have the resources they need without paying more taxes than necessary. When it comes to generational wealth, these Tampa wealth managers can expertly navigate the complex terrain of legacy and estate planning and the best way to transfer non-liquid assets to the next generation in a fair, tax-efficient way. Clients that need a financial planning and wealth management firm in Tampa that has a skillset a step above the rest, will find the team at Frisch Financial Group both dedicated and knowledgeable in many complex financial matters. The fact that they are a fee-only fiduciary also provides clients with a foundation of trust and comfort that they are dedicated solely to the best interest of their clients and helping them reach their financial goals. These factors, as well as their tax planning expertise and commitment to investor education, make Frisch Financial group a solid 5-star firm and a top Tampa wealth manager to consider partnering with in 2019. Harwood Financial Group serves a high-net-worth clientele in the Tampa/St. Petersburg area. They believe in a comprehensive, straight-forward process to wealth management and keeping constant and clear communications with their clients. This Tampa wealth management firm is fee-based but to balance that, they are also a fiduciary and believe in being completely transparent about their fees and fully disclosing any conflicts of interest to their clients to instill trust. You won’t have to worry about being given the same financial strategy as everyone else at Harwood Financial Group. This wealth management firm in Tampa takes the time to get to know you, your financial situation, and the goals you want to achieve. 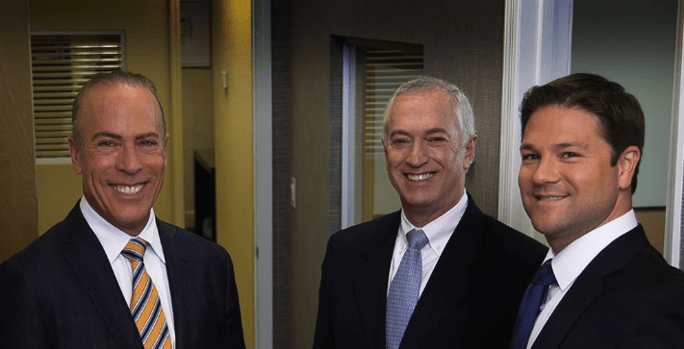 Their status as a fiduciary and one of the SEC-Registered Investment Advisors in Tampa means they offer advice that’s fully unbiased and have a legal obligation to put their client’s interests ahead of their own. Harwood strives to provide a level of service that you won’t find with other Tampa financial planners. You’ll have a dedicated point of contact and get personalized attention and answers to all your financial questions. One of the things that make Harwood stand out from other wealth management firms in Tampa, FL is the lengths they will go to for clients before any contract is signed. Investment Risk Analysis—This includes an analysis of your existing investments and risks and identifies any areas of concern. Tax Review and Analysis—Harwood advisors will review your tax situation and make recommendations for optimizing tax strategies that can help you now and in the future. Estate Transition Plan Review—Your existing estate plan will be analyzed, and recommendations will be given on how to improve your plan for smoother estate transfer while reducing costs and taxes. Complimentary Financial Plan—Harwood won’t just meet with you once, but as many times as needed to get a clear and thorough understanding of your finances. As a result of these meetings, you will be presented with a complete financial plan customized to your goals and needs. With a fiduciary obligation and a dedication to complete transparency, Harwood Financial Group offers investors a trusted place to come for expert financial guidance. They believe so much that they’ll be the best financial advisor in Tampa for your needs that they offer a 100% money-back guarantee. If you’re not happy with how Harwood Financial Group has handled your money, you will be refunded all account management fees that you paid during your first year. Pledging to offer service that’s second to none and a difference you experience when you walk in the door Harwood Financial Group solidifies their 5-star rating and is one of the top Tampa wealth managers to consider working with in 2019. With over $1.16 billion in assets under management, Heritage Investment Group is a top-rated wealth management firm in Tampa, Florida serving high-net-worth individuals, families, charities, and qualified plans. This fee-only Tampa financial advisor has additional offices in Pompano Beach and Orlando, FL. They believe in building relationships based on the guiding principles of integrity and ethics. One of the signatures of a truly first-rate financial advisory firm in Tampa (or anywhere else in the country) is the commitment the firm shows toward continuing education and professional certification. Heritage advisors are impressive in this regard and have proven themselves completely committed to continuing education and industry knowledge. As a result, these Tampa financial advisors can offer you the latest, most relevant information to help you get the most of your portfolio. Many financial advisors in Tampa, FL only offer the basics when it comes to money management and investment. The goal of this Tampa wealth management firm is to “be brilliant at the basics,” being experts in the core essentials when helping clients preserve and grow capital. Heritage strives to go beyond the basics, however. They offer a full suite of financial services designed to help clients flesh out their portfolios and expand their wealth. Heritage offers their clients the utmost in trust and transparency by being both a fee-only wealth manager in Tampa and St. Petersburg and holding themselves to a fiduciary standard. Their well-credentialed team also takes time to stay up to date on industry trends and furthering their education to better serve their clients. Their expert, yet friendly approach and willingness to go the extra mile for their clients help make Heritage Investment Group one of the top Tampa financial planners to consider partnering with this year and scores them a 5-star rating. Lawrence Financial Planning offers a smaller, more boutique feel that many clients prefer for their wealth management services in Tampa. The firm was founded by Julie Lawrence in 2009 and has a team of six dedicated professionals led by women. This Tampa/St. Petersburg financial planning firm is fee-only with a fiduciary commitment to always act in the best interest of their clients while providing them with a wide range of comprehensive financial services. One of the focuses of Lawrence Financial Planning is to help people better understand the divorce process and how it can impact their finances. This Tampa financial planner holds monthly workshops on achieving financial security after divorce. They also often conduct these workshops in partnership with lawyers and licensed mental health professionals. These monthly workshops have no cost and no commitment. Financial needs are subject to changes depending upon what life brings, making it important for Tampa financial planners to provide a wide range of services to support all areas of financial life. Their fee-only structure and fiduciary commitment make Lawrence Financial Planning an ideal financial partner for navigating the changes that life brings and staying on steady financial footing. Their dedication to helping people go through one of the most difficult challenges in life through their divorce workshops makes them unique and a firm that stands out among other financial advisors in Tampa. With a dynamic team, a full range of services, and a personal touch, Lawrence Financial Planning is one of the top Tampa financial planners to consider partnering with in 2019, and have earned a 5-star rating. Founded in 1998, Pinnacle Wealth Planning Services, Inc. is a fee-only financial advisory firm that is family owned and operated. They work with affluent individuals, business owners, and their families. This wealth management firm has offices in St. Petersburg, FL, as well as in Ohio cities, Columbus, Mansfield, and Medina. They provide investment and financial management services throughout the U.S. The advisory team at Pinnacle has over 200 years of combined experience in wealth management, which offers clients the benefit of their collective knowledge and expertise. Pinnacle believes in a goals-based financial planning process, which gives you milestones to reach and helps pave a successful path for the future. These Tampa financial planners keep your financial plan fluid, adjusting your investment strategy as needed to stay on track toward your objectives. Pinnacle’s Tampa financial advisors have a mission to provide comprehensive and personalized wealth management services that are conflict-free. They do not earn commissions and they make a fiduciary commitment to each client they serve. Their commitment to quality, a highly experienced team, and continued drive to be a wealth management leader all make Pinnacle Wealth Planning Services worthy of a top 5-star rating and one of the best firms for financial planning in Tampa and the surrounding area. Wealth Advisors of Tampa Bay is a Registered Independent Advisor (RIA) that works with the country’s leading independent broker dealer, LPL. This Tampa financial advisor is a fee-based fiduciary. Wealth Advisors of Tampa Bay focuses on their clients’ wellbeing and strives to create a rewarding experience for investors, giving them the confidence to pursue financial success on their own terms. 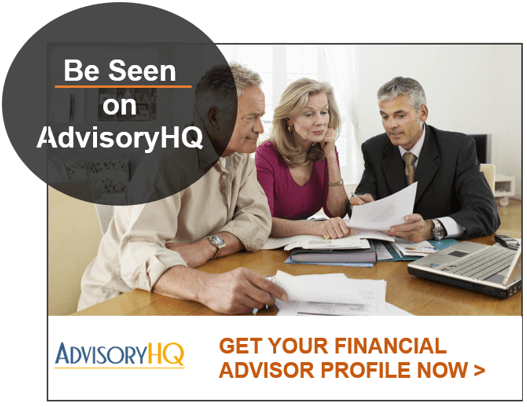 As a top-rated financial advisor in Tampa/St. Petersburg, Wealth Advisors of Tampa Bay makes client satisfaction and service its top priority. Because it’s an independent firm that makes a fiduciary commitment, clients can rest assured that all financial planning and investment management advice is provided free of bias and with their best interests in mind. Life is always changing and so are your financial needs. This means that the best financial advisor in Tampa to work with is one that offers a range of services that can meet all your financial requirements throughout life. Wealth Advisors of Tampa Bay is a firm that comes with a wealth of experience, offering potential clients the security of working with a team that really knows the industry inside and out. 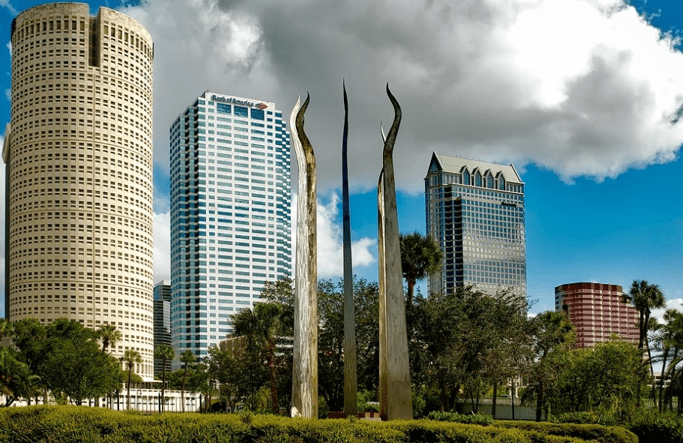 Although the firm operates on a fee-based structure, its fiduciary commitment, and independent structure ensure that all services for wealth management and financial planning in Tampa are unbiased and performed in the client’s best interests. 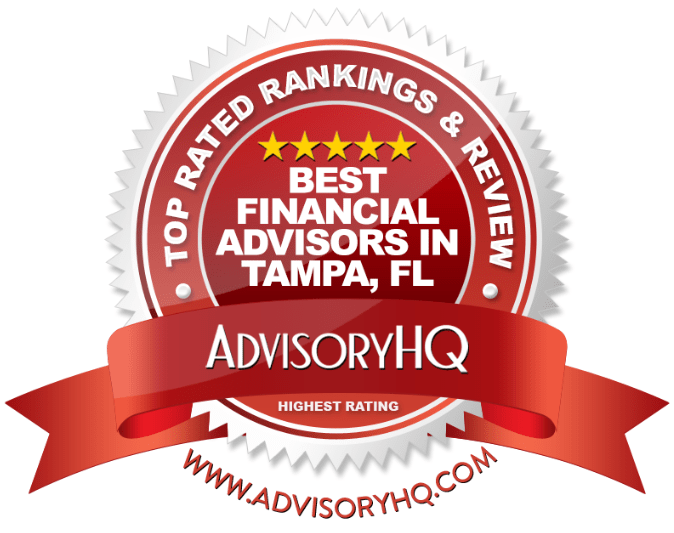 With a healthy range of comprehensive services to choose from, a century of collective financial wisdom, and a commitment to serve their clients with integrity, Wealth Advisors of Tampa Bay earns a 5-star rating as one of the best financial advisors in Tampa to partner with this year. Founded in 1997, ARS Wealth Advisors is an independent financial advisor in St. Petersburg and the Tampa Bay area. Potential clients will appreciate that the firm has been nationally recognized as one of the top RIAs in the country. ARS Wealth Advisors is a fee-only wealth management firm in the Tampa area who puts happy clients above all else with an approach that’s completely client focused. One thing that makes ARS stand out as one of the best financial advisors in St. Petersburg is their talented diverse staff that holds a number of industry designations. For clients, this results in a well-rounded investment strategy that minimizes risk and maximizes gains and tax efficiency. Additionally, the ARS team holds combined 100-plus years of financial planning experience. The singular focus of ARS is you, your peace of mind, your financial goals, and your success. Being a “fee-only RIA” is important to this Tampa financial advisor because it means that they have no other interests except for your financial success. Compensation: They make money only on a fee that’s based upon the money you entrust them to manage. No surprises and no conflicts of interest from commissions. Fiduciary responsibility: By taking on fiduciary responsibility, ARS is legally obligated to always act in your best interest, no matter what. Custom-tailored investment plans: Since they are not tied to any brokerage firms, they are free to choose whichever financial products best fit your particular needs. ARS Wealth Advisors exemplifies the ideal relationship between a financial advisor in St. Petersburg and their clients, being unbiased, transparent, and focused solely on the client’s needs. One area where ARS Wealth Advisors was lacking, however, is in providing their clients with a complete description of their services. Due to the lack of complete explanations of their process for wealth management and financial planning, potential clients may find it harder to evaluate the firm, thus we have scored with a 3-star rating. We feel that by including more details in their services descriptions, ARS Wealth Advisors could easily enhance their value proposition to new clients and easily score a higher rating in the future. Despite that one area of improvement, ARS Wealth Advisors has a lot to offer investors in the Tampa area looking for expert financial guidance and it’s one of the top firms to consider partnering with this year. For over 20 years, FirsTrust has made it their mission to bring objective and expert financial advice to a wide range of clients in Florida, including affluent retirees and those that aspire to be, as well as individuals, families, professionals, business owners, and Trustees. This top-rated wealth management firm in Tampa is a fee-only Registered Financial Advisor that is also a fiduciary. They believe that true objectivity comes from having zero conflicts of interest. If you’re looking for experience and commitment from your Tampa financial advisor, then you’ll appreciate the qualification requirements that FirsTrust has for their financial advisors. Beyond just expecting experience and qualifications, this financial planning firm in Tampa asks each advisor to sign an affidavit every year that they will receive no commissions of any kind, gifts, or third-party compensation, to ensure client loyalty is preserved. FirsTrust believes in 100% expert wealth management with zero percent sales pitch. Their straight-forward process includes a range of financial management services to give you a comprehensive approach to managing and growing your wealth. Risk Management: These Tampa financial advisors take an honest look at risk management, reviewing all potential pitfalls so they can help you be fully prepared to weather any storm. Cash Management: Using “what-if” scenarios, FirsTrust advisors help their clients take a measured approach to cash management and look at cash flow potential from sustainable wealth management approaches. Retirement Planning: From IRAs to retirement plans to capital gains tax, these experienced advisors can help you navigate to a successful and comfortable retirement. Tax Planning: These Tampa financial managers understand that tax planning integrates with every other part of an effective wealth management plan. Estate Planning: Hands-on trust and estate planning from specialists that can help you prioritize goals and take care of yourself and your family. Asset Management: Working with core factors like Target Rate of Return, Time Horizon, and Future Value, FirsTrust works to ensure your portfolio is geared for optimum growth. FirsTrust’s exceptional team of advisors adhere to higher standards than many other financial advisory firms in Tampa, Florida, making them an excellent option for many wealth management and financial planning needs. One weak area we found during our review was that their website, while full of detailed information, is a bit outdated, and thus we have scored them with a 3-star rating. FirsTrust could easily improve this rating in the future with a website update. Their fee-only, fiduciary commitment to clients and a wide range of expert wealth management services make FirsTrust a top choice in Tampa to consider working with for all your financial needs. Whether you’re a retiree looking to enjoy your golden years in the sunshine or a young professional just starting a family, one of these top financial advisors in Tampa, FL can help you chart the right financial course to help you achieve your life goals. Your first step would be to narrow down your options further by zeroing in on the Tampa wealth management firms that are suited to your wealth level and any special interests or life situations. You’ll also find that some of the firms on our list offer free portfolio reviews, which is an excellent way to get to know an advisory firm and get some expert advice that’s commitment-free. Taking that first step may come with some apprehension, but once you’ve landed with an expert you can trust, you’ll find you can rest easy and get excited for a future of financial health and stability.